I need some help please, the help line told me how I wanted to hook my OOMA up should work but it didn't. I have Qwest DSL with a 2Wire brand Modem. 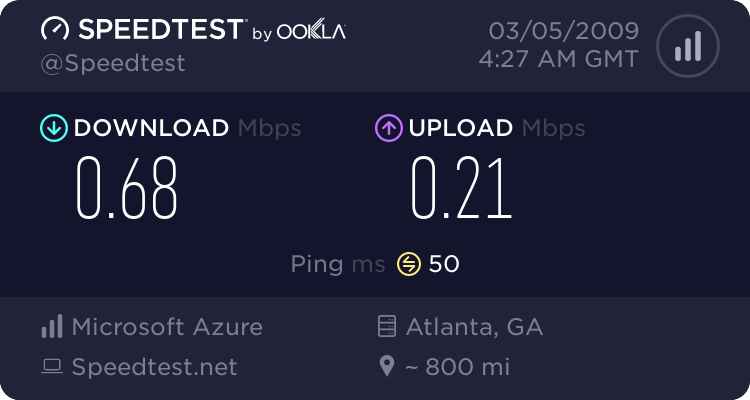 My connection speed is 1.3megs. I have mulitple ethernet connections on the back of my modem. I removed the DSL filter that came with my QWest Modem and connected my 2Wire modem directly to the wall jack, my 2Wire modem is ethernet cabled to my computer and my internet works fine this way. I connected my modem line on the back of OOMA to the 2Wire modem via an ethernet cable. I connected a cordless phone directly to the phone jack on the back of the OOMA. I then plugged the power cable in and walla, I get a red blinking light. Can someone tell me why this isn't working and what I need to do to make it work? I connected it like the bottom figure on page 6 in the quick start guide to begin with and my internet speed went from 1.3 meg down to 500kb. Just a couple of thoughts. I assume you have already activated your ooma - if not, you need to do so before connecting it up. Since you do not have a regular phone line that you are integrating into your ooma system, use the chart on page 5 of the quickstart guide. If you have a computer that you use to upload large files, you can use the diagram in figure c - or else you can just plug the modem port on the ooma hub into one of the jacks on the back of your modem and leave the home connection unused. I would test the unit without the scout connected - that means you would not have anything connected to the jack marked wall, and just your cordless phone connected to the phone jack on the ooma. If this does not work, then technical support is your best next move. If it does work and you want to use a scout, then I sugest you test the scout with a cable running diretly from the hub's wall connection to the scout's wall connection. Of course, you will need another phone plugged into the phone connection on the scout. If this works, then you are all set to proceed. I would purchase a dual jack wall plate for the room where the modem and hug are located and use an additional pair in your home's phone wiring between the hub and the scouts. That way, the DSL signal is completely isolated from your scout wiring. You will also have to move the connections on the jack where you want to use your scout to the same pair in the cable. Usually, line 1 is made up of the white/blue pair and line 2 is the orange/white pair. This will give you the cleanest installation and the best results. toolflo wrote: I removed the DSL filter that came with my QWest Modem and connected my 2Wire modem directly to the wall jack, my 2Wire modem is ethernet cabled to my computer and my internet works fine this way. 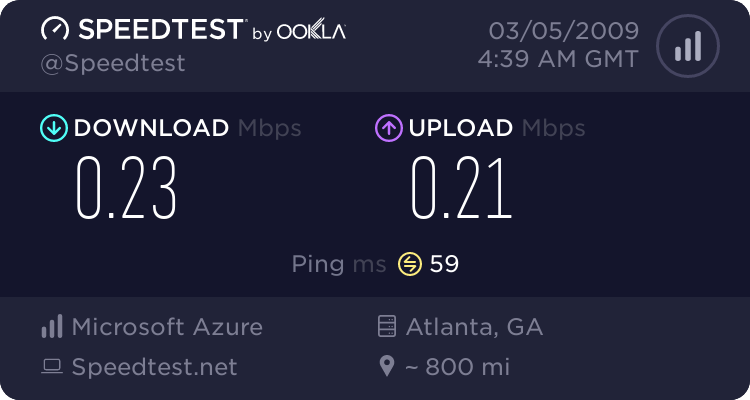 I connected it like the bottom figure on page 6 in the quick start guide to begin with and my internet speed went from 1.3 meg down to 500kb. I look at the quick start guide, and I think you miss the OOMA splitter, supplied by OOMA and in red in the picture of the quick start guide, which has to come between the wall jack and every thing else. The wall port on OOMA hub should connect to the remain jack on the OOMA splitter for the scout to work. Also try it both ways, to see which way works. Also remove the scout and any other phone/fax from the house wiring untill the hub is working properly. Mine went down from 1.3M to 280k downstream, upstream remain the same. However, I don't have any problem with internet, video streamimg, etc, ok. I even test video streaming while talking on the phone, no problem. I don't have a clue, any explanation would greatly appreciated. 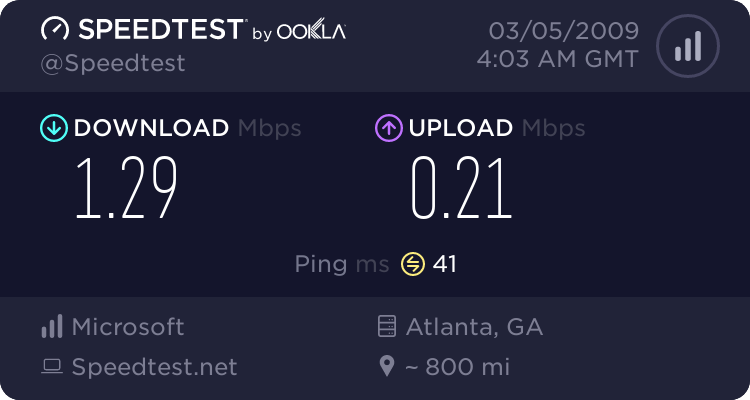 How are you measuring your Internet speed (speedtest website)? Also, do you notice a drop in bandwidth when you're not currently on a call? I am measuring my internet speed with a speed meter from 2 wire and one from Qwest. The drop in band width was measured while I was not on a call. I have activated my ooma and began the porting process with ooma. I'll try your suggestions and get back to you. Thanks again for your reponses! It seams, at least to me, that HPNA does have some negative effect on the DSL signal. Is that true, any one can tell? Tommies, Thanks for all the great data, you must be an Engineer. One question, can you tell me exactly how your last hook was (was it one of the OOMA book graphs?) I went to all the trouble to isolate 2 lines in my house, I'm using one for feeding DSL and the other for OOMA phone, the poroblem is when I connect the OOMA wall plug to the 2nd house line OOMA doesn't go blue. when I connect it to the a splitter on the DLS line it works but the speed slows to a crawl. I've ported my phone number and cancelled my phone service so no turning back, I need to find a solution. Can you help? no, it was a quirky hook: I just put ooma behind a DSL filter/microfilter (which come with my DSL kit) similar to that of a phone need to be behind a filter. This way, I separate the ooma's HPNA from the telco DSL. This way I cannot use the scout, which requires the HPNA signal from the hub. toolflo wrote: I went to all the trouble to isolate 2 lines in my house, I'm using one for feeding DSL and the other for OOMA phone, the poroblem is when I connect the OOMA wall plug to the 2nd house line OOMA doesn't go blue. when I connect it to the a splitter on the DLS line it works but the speed slows to a crawl. I've ported my phone number and cancelled my phone service so no turning back, I need to find a solution. Can you help? I fell your pain. Many in this forum had experienced this, me included. Are your ooma setup with a land line? From your description, I guess it is. If not, the following is not valid. I have it connected at like the page 6 bottom diagram (DSL and Phone on the same line. 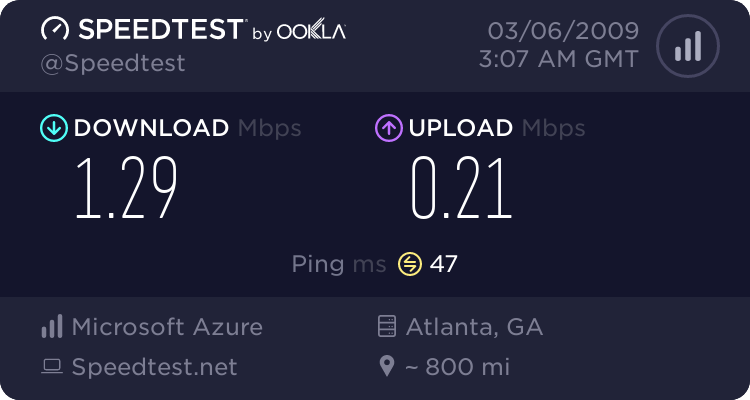 I connected the phone jack from the OOMA to the second isolated line in the house. This works but again my down load speed dropped from 1.3 meg to .4 meg. 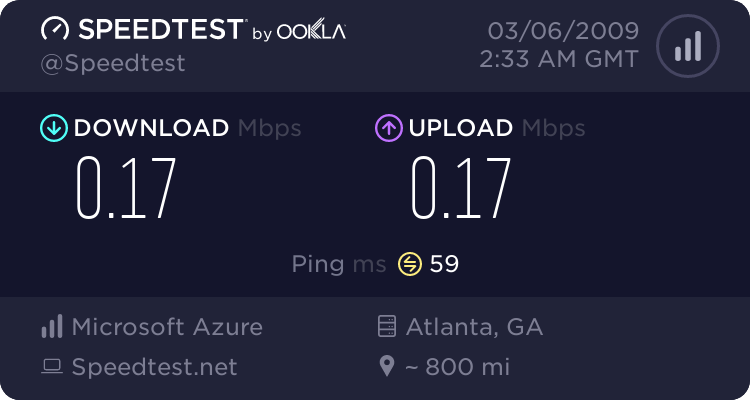 If I move the ooma in front of the router and connect my compueter to the ooma using the home plug I still get the same slow speed. Uplaod at both these configurations is .8 megs. About what I get with no ooma now. It soundsw as though I might need to get some sort of filter but thats greek to me, any ideas? If you don't need the scout, just replace the ooma splitter in the drawing with the DSL splitter that com with DSL kit. That was my last hook that you had asked about. If you do use the scout, just temporary turn it off and disconnect its wall port from the house wiring, to see if the DSL improve. It does in my situation.